In times of personal distress, how do you typically react? Are you critical, complacent, doubtful or empathetic, understanding, and compassionate towards yourself? If you fall somewhere along the latter, then you might be familiar with a practice commonly known as Self-Compassion. I first learned about this term from the book Self-Compassion: The Proven Power of Being Kind to Yourself written by Dr. Kristin Neff and since then I’ve been working on improving the level of compassion I apply to myself. Before we dive into breaking down the concept of self-compassion, let’s first understand the meaning of compassion. Compassion is defined as sympathetic pity or concern for the sufferings or misfortunes of others. It means “to suffer with”. Compassion involves being sensitive to the experience of suffering, coupled with a deep desire to alleviate that suffering. This means that in order to experience compassion, you must first acknowledge the presence of pain. Self-compassion is the act of treating yourself with the same kindness, concern, and support you’d show to a good friend. It is compassion directed inward. When faced with difficult life struggles, or confronting personal mistakes, failures, and inadequacies, self-compassion responds with kindness rather than harsh self-judgment. For example, if a friend came to you distraught and expressed frustrations about their stressful work environment or some form of personal struggles they’re experiencing, you wouldn’t react by saying, “you’re not good enough” or “you’re unworthy”. You’re more likely to be a resounding voice of love, encouragement, and speak to them in a way that uplifts their spirits. Self-compassion takes the idea of “Think Positive” to a whole new level. Instead of replacing negative feelings with positive ones, positive emotions are generated by embracing the negative ones. Rather than telling yourself false narratives about your current misfortunes or evoking positive notions to distract you from the realness of your troubles, self-compassion allows you to fully embrace all aspects of your circumstances and acknowledge that what you are experiencing is not a burden you hold alone. When practicing self-compassion, you are expressing sympathy towards your own personal suffering rather than being self-critical. There are three elements of self-compassion: Self-kindness, Common Humanity, and Mindfulness. Self-kindness offers a supportive and understanding way of dealing with ourselves and an awareness of one’s own self-talk. Our inner dialogues are gentle and encouraging rather than harsh and belittling. For example, when going through personal setbacks in life, more often than not, I’m extremely harsh in the way I treat myself. I’ll often negatively characterize my actions by making statements such as “I can’t get anything right” or attack my intelligence by calling myself stupid or dumb. As an alternative to berating oneself for past mistakes or unfulfilled goals, kindly acknowledge that you’re doing the best you can and recognize the efforts you’ve made. Common humanity gives us the understanding that imperfection is a shared human experience that we all go through. Everyone fails, makes mistakes, and often gets things wrong. We do not always get what we want and are often disappointed either in ourselves or in our life circumstances. By recognizing this shared emotion, we feel less alone and less isolated when dealing with personal tribulations. Instead of being consumed by a “woe is me” attitude, take the focus off yourself, accept the fact that we all suffer, and accept that imperfection is a common part of the human experience. Mindfulness entails being aware of the present moment in a clear and balanced manner. When we are mindful, we are open to the reality of the present moment without judgment, avoidance, or repression. We must be willing to go inward and acknowledge our pain in order to immerse ourselves with compassion. Being mindful of our negative thoughts and feelings means that we don’t over-identify with them and we can rationally distinguish our actual selves from negative self-concepts. Our thoughts and feelings are viewed as simply that: thoughts and feelings. People who have traits of self-compassion or are in a self-compassionate frame of mind tend to experience more happiness, optimism, curiosity, creativity, and positive emotions such as enthusiasm, inspiration, and excitement versus those who are self-critical. 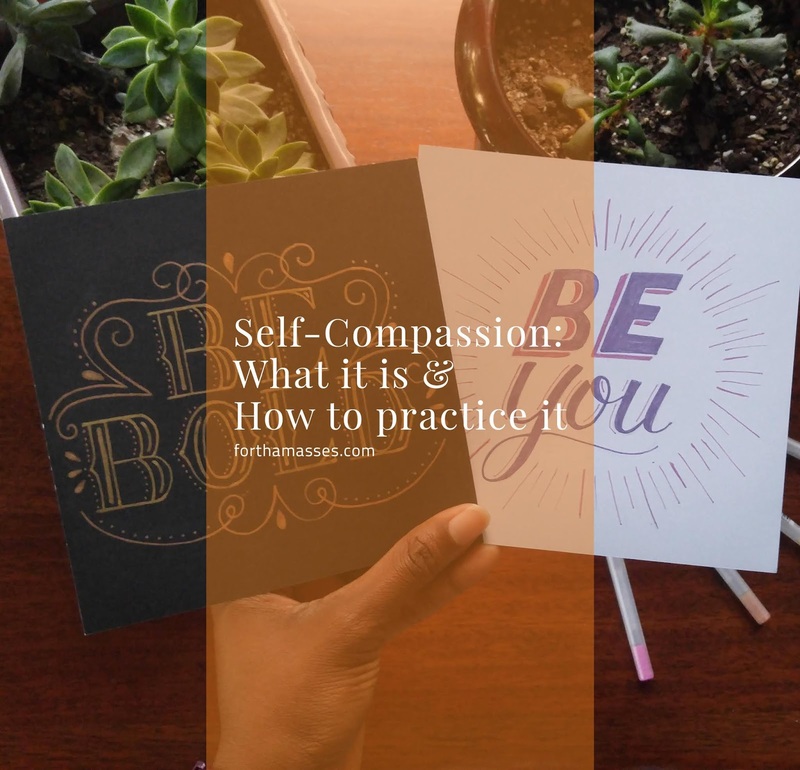 Visit Dr. Neff’s site to browse through self-compassion exercises, guided meditation material, and research publications which helped me put this post together. I took the quiz to see how self-compassionate I am, and my results showed that I fall at the overall average for self-compassion, but my score for over-identification was high, which I will acknowledge is an area I struggle with. Here is a link to the quiz if you’re interested in finding out your own score. After a week of working with my fears, unearthing some uncomfortable truths, and now this quiz score, I’m learning to enter the week with a bit more self-compassion. This week I will be writing letters to myself daily, and if you worked on your fear setting list last week, I’m sure this simple 5-minute exercise will be the self-compassion you need right now. 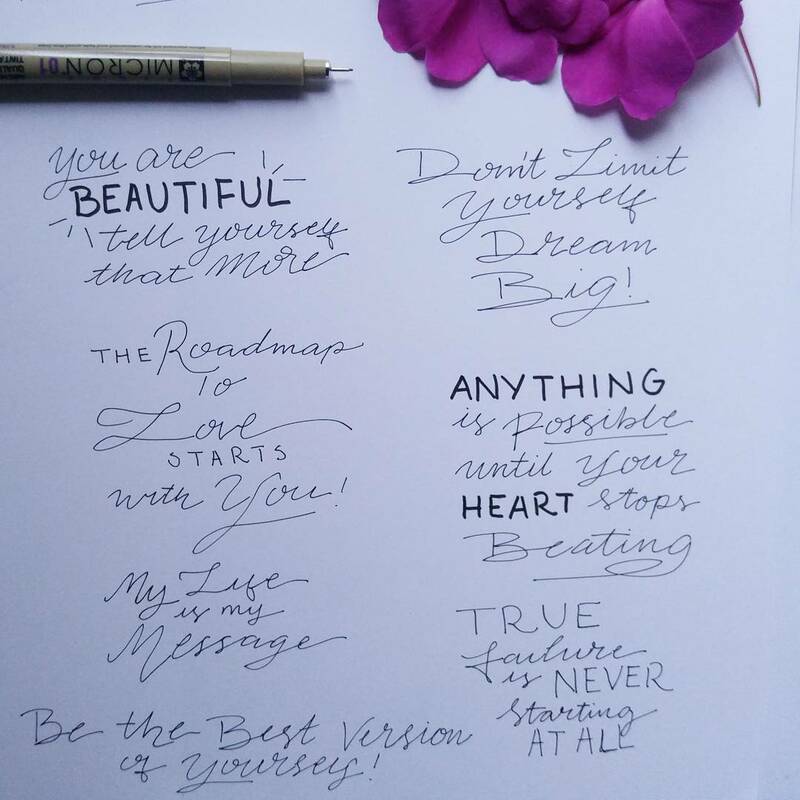 It’s kind of a daunting task when faced with all the negative things that I’ve allowed myself to believe, but I will incorporate lettering into my daily letters and share them with you next week. Remember that self-compassion helps lessen the hold of negativity; the more you practice it, the more you learn it. I would love to hear how the new year has been treating you. What moves are you making to move you? And how will self-compassion play a role in your life moving forward? You get to decide! Till next week curious creatives! Hi there! 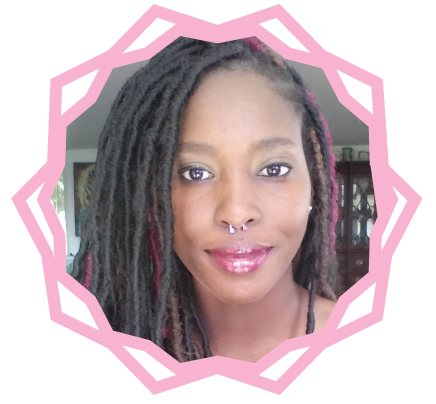 My name is Nkem and I’m a multi passionate curious creative living in Tennessee. I started this blog as a personal challenge, to hone my creative voice and explore creative interests. The goal: learn what it takes to make a living through creative pursuits, my educational background, and most importantly, things I make with my own two hands. All Rights Reserved © ForThaMasses 2019. Powered by Blogger.